Welcome to the July Paper Club! This month I’m offering a cheerful collection of papers from my stash that includes the popular Pink Larkspur. The cost is $39.99 for 6 sheets + free US shipping. If you live overseas, send me an email and I will estimate shipping before you purchase. Also, I’m launching my new online store so hopefully things will go without a hitch! 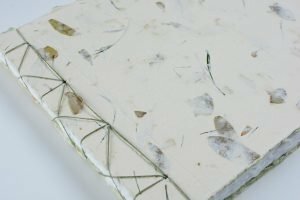 The paper is made in Vermont, USA from 100% cotton rag and is internally sized and buffered. Each sheet has four deckled edges and measures approx. 19″ x 25″. All sheets are nice and thick with an approximate weight of 140-300lb (300-640gsm), unless otherwise noted. 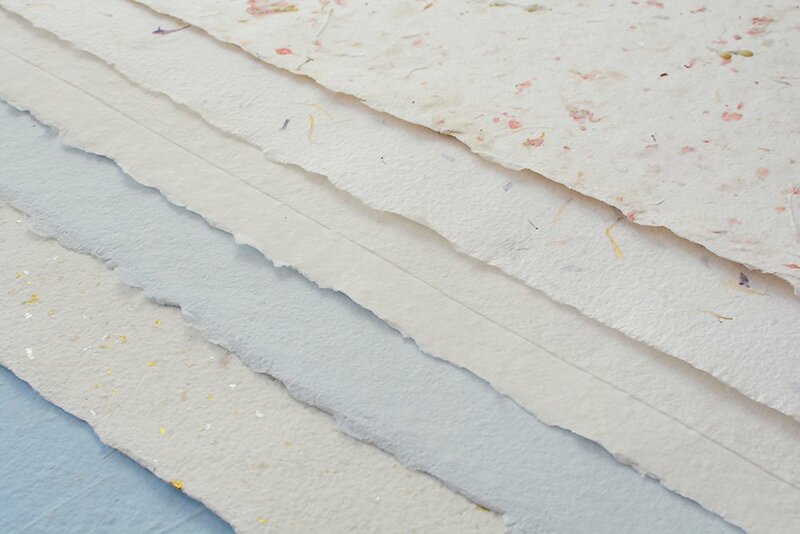 The papers are perfect for making books, cards and mixed media work. (Please note that the botanical inclusions are not acid free but you can use a protective spray for archival work). On the 1st of the month I announce the six exclusive papers and I only have a limited number available. Orders closes on the 10th of the month (unless already sold out) for shipping by the 15th. There is no commitment – you can order one month and not the next. If you’re on my mailing list, then you’ll be notified of when the papers are selected. The postman brought my package of beautiful paper this morning. It looked lovely on the video but it is exquisite in actuality. Now I just have to gain the skill to do it justice. Thank you!